Josefine adores books. So, I took her to the Public Library a few weeks back, before we took off on our trip. 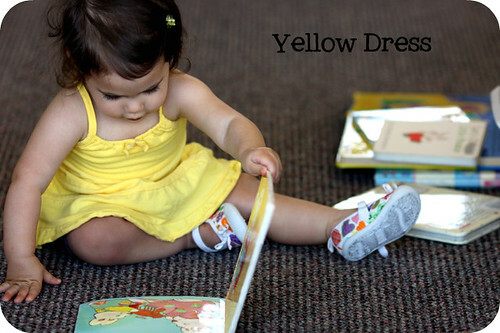 As I was sorting through older photos, I realized this would be a perfect one for Yellow because of her dress. So, here ya have it...because I'm playing catch-up with my "real time" color photos.